The City of Fremantle’s vision for the replacement of the Fremantle Traffic Bridge. The City of Fremantle has welcomed the bipartisan support for the replacement of the ageing Fremantle Traffic Bridge. The Prime Minister Scott Morrison announced the commitment of $115 million towards the replacement of the bridge during a visit to Perth today. Member for Fremantle Josh Wilson said that commitment would be matched by a federal Labor government should they win the upcoming federal election. Replacing the traffic bridge with a new one in a similar location was one of the key projects outlined in the City’s ‘Freo 2029 – Transformational Moves’ strategy. The Fremantle Traffic Bridge is an important northern gateway into Fremantle, but it’s reaching the end of its life as a carriageway for cars and trucks. Main Roads’ assessment of the bridge is that without significant remedial maintenance it will have to close in the near future. If that were to happen without a suitable alternative in place it would cause traffic chaos for Fremantle and have a big impact on freight getting to and from the Fremantle Port. Our plan is for a new bridge to be built between the existing traffic bridge and the rail bridge, and to convert the old bridge into a pedestrian and cycleway. Another important element of the project is to create a dedicated freight railway line, which would eliminate the current conflict between freight and passenger trains. A dedicated freight line would allow the port to handle more freight on rail during daylight hours, so we’re very pleased this has been included in the federal government’s announcement. We look forward to continuing our constructive discussions with the state government to secure a state commitment to this project. 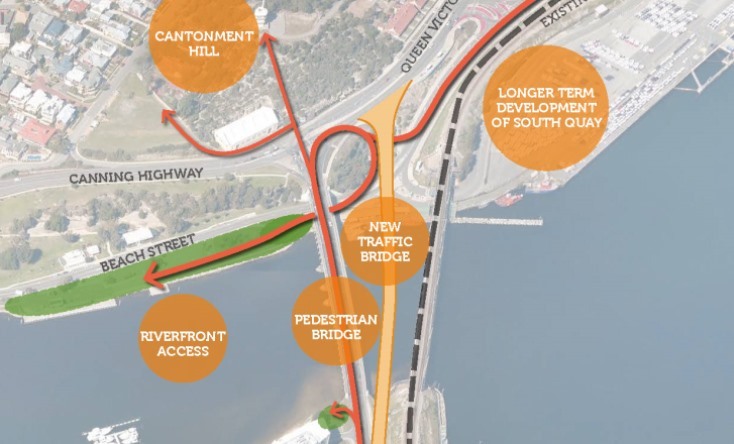 The replacement of the Fremantle Traffic Bridge was recently added to Infrastructure Australia’s list of nationally significant projects as a priority initiative to be delivered in the near term. Infrastructure Australia said the bridge was at the end of its useable life and at risk of closure, which would increase traffic pressure on the neighbouring Stirling Bridge, worsen travel times and impact on heavy freight access to Fremantle Port. 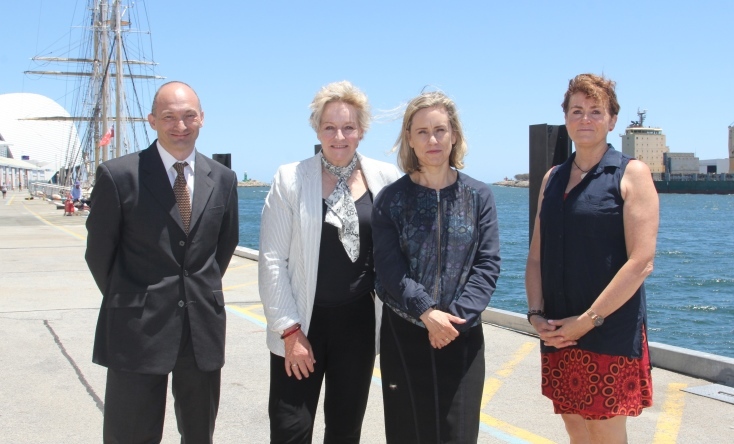 Fremantle Ports waterfront manager Franco Adreone with Minister for Ports Alannah MacTiernan, Fremantle MLA Simone McGurk and Deputy Mayor Ingrid Waltham at Victoria Quay. 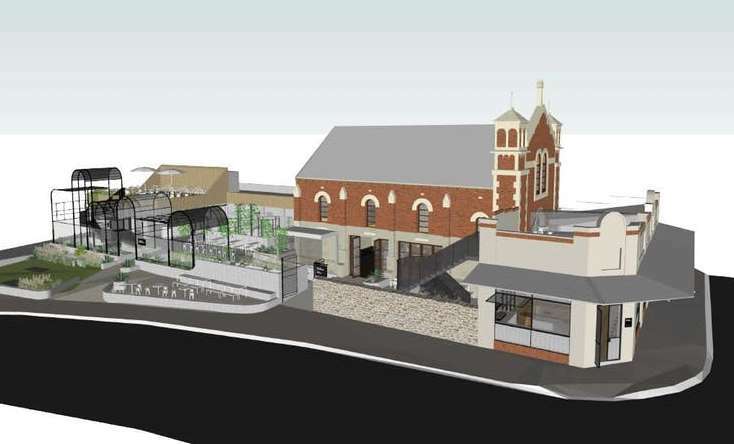 The City of Fremantle has welcomed the formation of a new senior steering group to drive the redevelopment of Victoria Quay. The steering group, which met for the first time on Friday, is chaired by Fremantle MLA Simone McGurk and includes the City’s Mayor and Chief Executive Officer along with representatives of Fremantle Ports, Fremantle Chamber of Commerce, Landcorp, Tourism WA, Westport Taskforce, Department of Transport, Department of Planning and the Department of Jobs, Tourism, Science and Innovation. Victoria Quay represents a golden opportunity to create a spectacular waterfront attraction for WA. 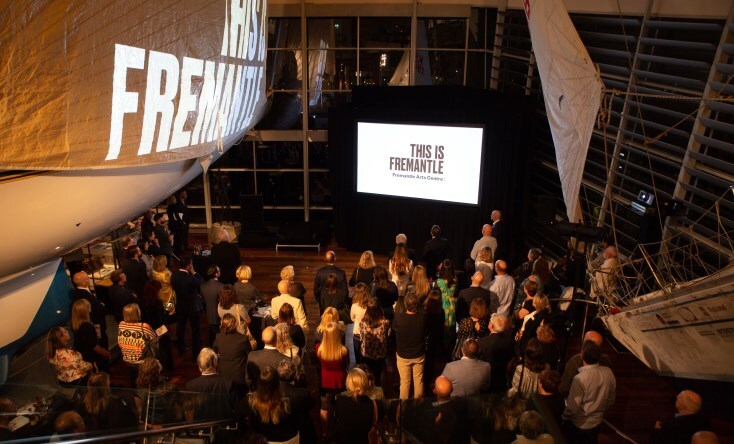 The City of Fremantle has been pushing for the redevelopment of Victoria Quay for some years now, so we really appreciate the state government supporting this through the formation of the steering group to drive the project forward. We think there are great opportunities to transform Victoria Quay into a world class waterfront precinct – with a mix of retail, hospitality and commercial businesses – and also create better connections between the port and places like Kings Square, the Cappuccino Strip, the West End and Bathers Beach. The building blocks for a terrific precinct are already there with the Maritime Museum, the E-shed and other heritage sheds, the Passenger Terminal and the Rottnest ferry terminal, along with easy public transport access with the railway station. The steering group’s brief includes examining the range of land uses in identified ‘precincts’ on the site, the needs of the working port and how to better link the Fremantle CBD to Victoria Quay, across the rail line. Read the state government media statement about the steering group’s first meeting here.